Next Door Locksmith is not just your ordinary, run of the mill locksmith company. “Next door” means that we are right here to help – no waiting, no hours on the phone. Calling us is like walking over to your next door neighbor’s house for help because we’ll be there right away to assist you. Our promised arrival time is within 30 minutes of the time you call, and if you know anything about us, you know that our technicians make every effort to shorten even that time frame. Fully certified and highly experienced, we offer 24/7 services, honest pricing and ready assistance. We want to help you however you need it. 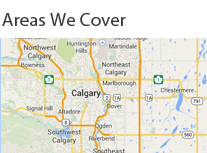 Perhaps the policy that people love most about Next Door Locksmith Calgary is our 24 hour availability. We understand that a car locksmith may be needed on a Sunday before you travel. We know a residential locksmith may be needed on a holiday. And, we get that a commercial locksmith may be needed in the dead of night. Because your emergency is important to us, we make ourselves available anytime to take your car and send an expert technician over for service. We’ve got you covered. Some other perks about Next Door Locksmith are also greatly appreciated by customers like you. For example, there is the aforementioned 30 minute response time. No one wants to call a locksmith for help and then find out that no one can be there for 4 hours, or not until next Wednesday between 9am and 3pm. So we will come within 30 minutes of the time that you call, saving you from having to drastically change your schedule to accommodate us. We will accommodate you instead. Additionally, we pledge to give you competitive pricing with upfront numbers so that you aren’t surprised by hidden fees in the end. Yet another fact about us is that Next Door Locksmith is a multi-service business. We aren’t just an automotive locksmith or a residential locksmith or a commercial locksmith. We’re an automotive locksmith, residential locksmith, and a commercial locksmith all rolled into one – plus, we’re an emergency locksmith. When you find a company you like, such as Calgary Next Door Locksmith, it’s wonderful to know that you can go to them for any of these needs instead of having to find another company for every other locksmith occasion. At Next Door Locksmith, we assure you that it’s not about us, it’s about you. Our entire business is about gladly serving the local community, which is why we fight to provide the best service possible. Whenever you call, we will answer and come to your aid. You’ll receive honest pricing, respectful communication, and top quality locksmith services!